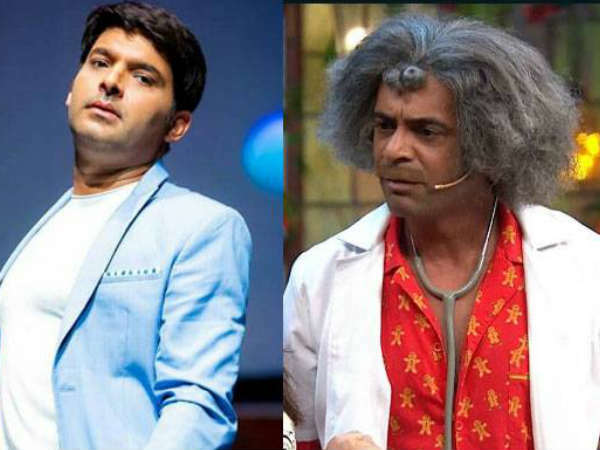 The dispute between Kapil Sharma and Sunil Grover is not visible anywhere. And now it is believed that Sony does not want to go anywhere to Sunil Grover and so they will come back with their separate and new shows. The clash between Kapil Sharma and Sunil Grover is not visible now. Sony TV does not want Sunil Grover to go anywhere. Now news is that Sunil Grover is planning a brand new TV show in a completely different concept. It was also reported that along with Sunil Kapil Sharma's ex Girlfriend Preeti Simose was also included and he has submitted his show to Sony TV. Sony TV has also given the approval of the show and it has got quite a different time from Kapil. It is believed that this show of Sunil Grover can come with Kapil's show from June. Kapil has been given a month's notice. But if Sunil is not coming back in the show, it can mean that Kapil Sharma farewell to Sony TV. Kapil Sharma is going to be busy in his film Firangi anyway. He has also made the atmosphere complete. On one side his last partner has left him, on the other hand he has talked of raising his fees by 50 percent. She said that I am not part of any such plan, but I have left Kapil's show and got the courage to see that I did not even miss her on the show. So I can go ahead. 0 Response to "Now will be the fight ... Kapil Sharma on Sony TV OUT Sunil Grover IN"